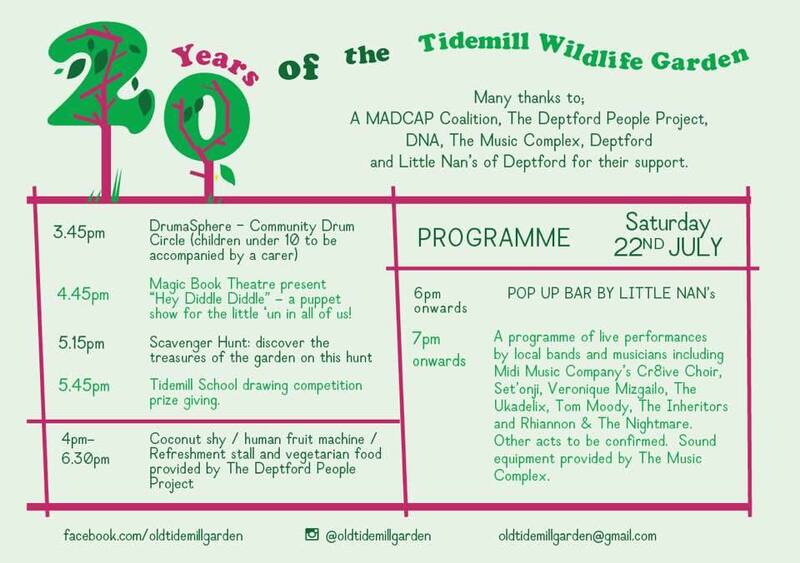 Campaigners hoping to save the Old Tidemill Garden from demolition and redevelopment are celebrating the garden's 20th birthday this Saturday 22nd July, 4-11pm. 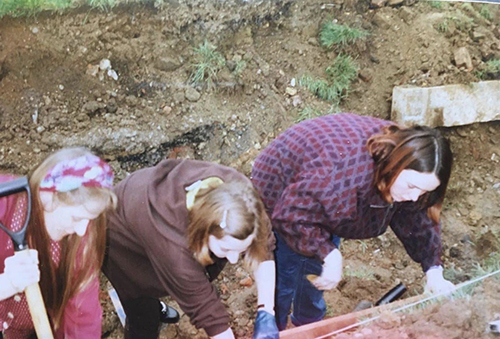 20 years ago a group of local activists, the Deptford Discovery Team, began a project to create a nature garden in the playing fields at Tidemill Primary School. They worked with green space community developers Groundwork to co-ordinate the landscaping and create a nature space for the children at the school, to be shared with other kids and the general public, and all with proper and full consultation with stakeholders. 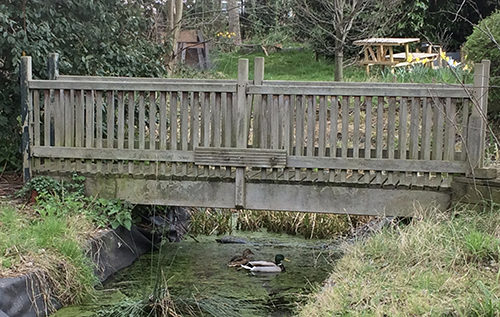 Along with the local community, the company who were building the DLR at the time helped create the moat pond and bridge structure that forms the centrepiece of the garden. Parents at the time were not too keen on the moat idea for obvious reasons (and it always required an adult to supervise); the compromise was a very shallow water feature that still attracts newts and ducks (to this day). Over the years the garden has grown and matured. But Lewisham Council still refer to the Old Tidemill Garden as a "recent project" (referring to its recent meantime use) and disregard its origins as a project approved by themselves to create a valuable community resource for all. 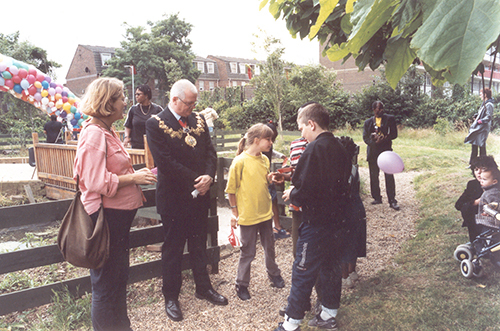 When the school moved out of the old buildings and into Deptford Lounge, guardians were invited in to occupy the building and play areas on a meantime basis. The garden area was looked after by a group of gardeners called Assembly, who took a lease on the grounds and began to run Forest School activities for children and open the space up to locals. 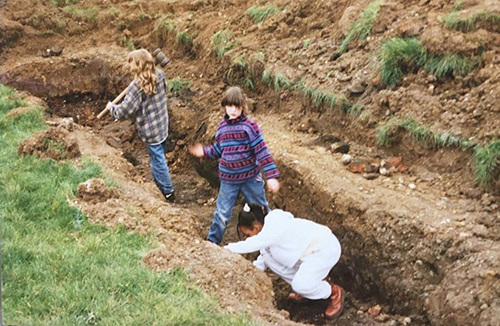 Meanwhile, the Council worked up plans with developer Sherrygreen Homes and housing association Family Mosaic to build 209 new homes on the site – plans that involved demolishing the garden and removing all the mature trees. These plans were submitted to Planning last September, but permission was deferred by the Planning Committee (see our March post). One of the issues for deferral was the lack of affordable housing (11%), but a year later and just now the GLA has just agreed to award the grant funding necessary for the development to meet the original target of 37%, if not more. While this is good news, there remains a problem with Lewisham's tendency in Deptford to pit the need for it to be seen to be creating more housing against all its grand policies about defending existing green space (which is ever decreasing). With the London tax-payer now subsidising the developer's profits to supply affordable housing (that the developer originally said they would meet the costs of), the case for keeping a mature greenfield site is reduced. Meanwhile, the layout of the buildings remains unchanged in the plans and the 20 year old community garden still faces demolition. No attempt has been made to revisit the 2016 plans to revise and make room for retention of an existing mature green space. Loosely worded statements from Mayor & Cabinet in June 2017 remain open to interpretation – for instance “That (the developer) will work in collaboration with the community group to decide the design, use and management strategies for all of the public spaces on the site”. If the Council and developer actually meant and did this, they should be looking at reworking their plans to include as much retention of the garden as possible. Alas, they are not. Nothing has changed since the September 2016 application. Meanwhile Lewisham insists there is replacement of green space like for like, but new (private) residents will have private gardens that take up what should be considered as public green space but which will reduce that space by half. They have even claimed they are increasing public space because the Tidemill green area was not open to the public – yet they have made sure it hasn't been ever since they decanted the school. Lewisham have been planning this for so long that all the trees on the Tidemill site already don't exist according to a borough tree survey going back 10 years when they first decided to demolish the garden. Coincidentally, the garden was an achievement that 'belonged' to the previous Mayor, Dave Sullivan. No love lost there (nor by us, as Sullivan went on to be a developer – including the small development Princess Louise House now affected by the Tidemill development – and was a founding member of Renewal, now renowned for its shady dealings at Millwall). The green space that has existed since the garden was created and planted in 1997 is now mature and gorgeous, but is still considered a brownfield site by the Council. 20 years ago it was a playing field, and prior to that it was a car park, and a bombed out 2WW site before that. The Council, who you'd expect to keep a good archive and also protect community assets, keep getting it wrong. They don't even know what year the anchor was installed – they say 1990 when we know it was 1988. Lewisham's plan also involves the demolition of an entire Council block. Lewisham Homes tenants and leaseholders will be rehoused in the new development and will become tenants of Family Mosaic housing association with consequent loss of council tenant rights (yet still with the Right To Buy, although the price they'd have to pay would be double). Leaseholders will retain their current value against the greater value of the new property but their service charges will triple. Currently only 3 out of 17 residents are leaseholders and so far only two tenants have supported the demolition (and subsequent rehousing on a building site, whilst living next to one whilst their new homes are built). The financial aspects of the new funding arrangements were discussed in private when the proposals came up before Mayor & Cabinet this June, considered to be 'commercially sensitive'. When the decision then came before the scrutiny of the Business Panel in early July, Council officers were requested to make the figures available to the public. So far, they still remain a secret and all figures and sensitive detail redacted. Not just the financial figures to do with the grant funding and how many affordable homes there will be and what it costs us all, but what the tenants and leaseholders of Reginald House think about being rehoused as well. Come and celebrate the achievements of the community against all odds! 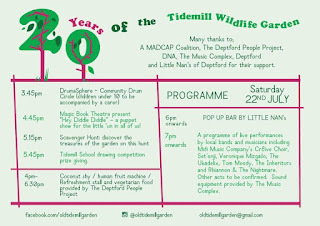 Saturday 22nd July at Tidemill Gardens from 4pm till late.